Growing up in Russia, sandwiches were usually open faced. We had bread, butter, and cheese sandwiches; salami sandwiches, and sometimes fish sandwiches. But then we moved to the USA and discovered the big fat sandwiches with two slices of bread and a zillion types of fillings. Although a slice of toasted bread smeared with mayonnaise and topped with thinly sliced ripe tomatoes and sprinkled with salt is heaven, most of the time I prefer a marriage of multiple flavors and textures. 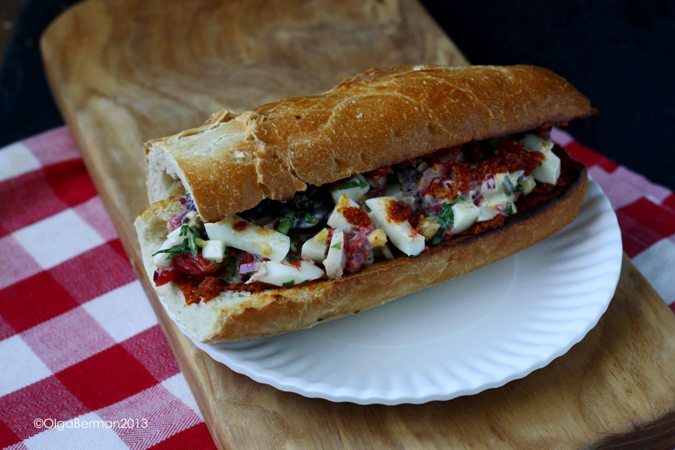 Last month I was contacted by Mezzetta and informed about their Make That Sandwich contest. Although I'm sort of over recipe competitions, I was happy to tell YOU about it and create something with a few of the products the company sent me. I had a hard time deciding on what kind of sandwich to make: should I do something complicated? Or should I just do something simple and delicious? In the end, I went with the middle ground: Not Your Boring Egg Salad Sandwich. 1. 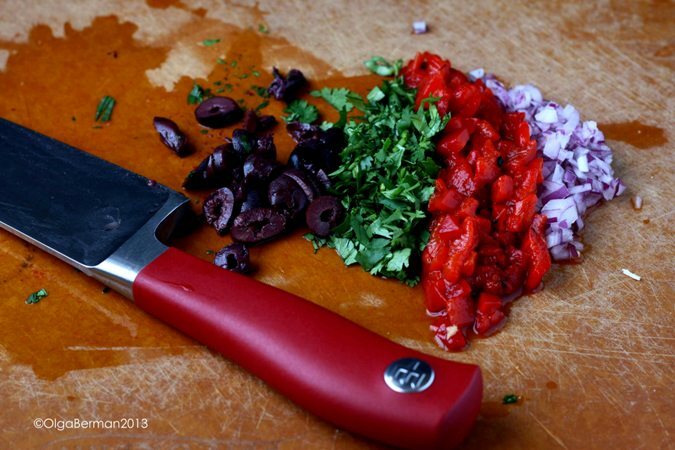 Combine the eggs, olives, pepers, cilantro, red onion and mayonnaise in a bowl. 2. 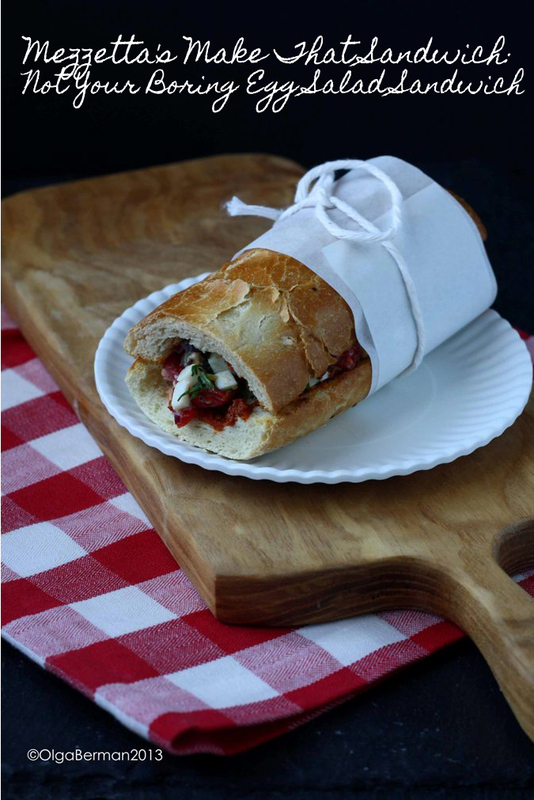 Smear both sides of the baguette with the sun ripened dried tomato pesto. 3. Divide the egg salad between the two baguette bottoms, top with the upper part of the baguette. Ta da! Doesn't this look great? It was really good. The crunch of the onions and the toasted baguette balanced the creaminess of the pesto and the eggs and the mayonnaise. And I liked the saltiness of the olives: no need for additional salt. 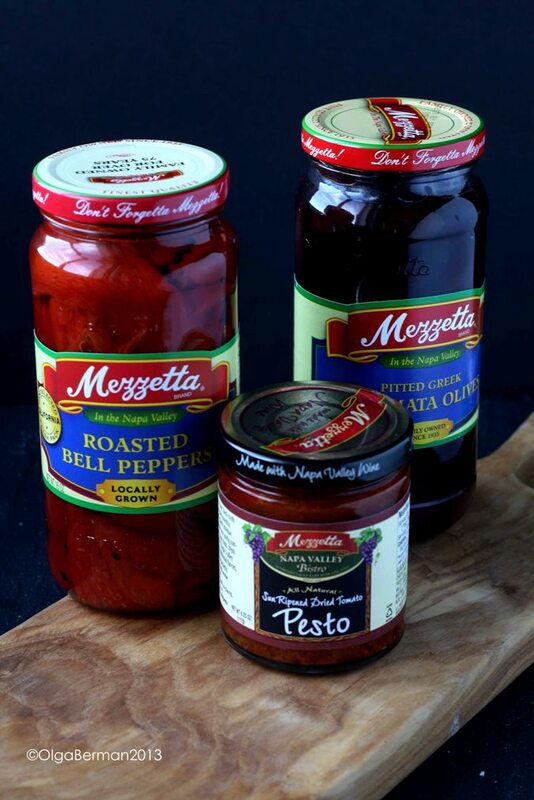 Disclaimer: Mezzetta sent me 4 of their products, but I was not compensated for this post. All opinions are my own. I think you need a mayonnaise intervention. 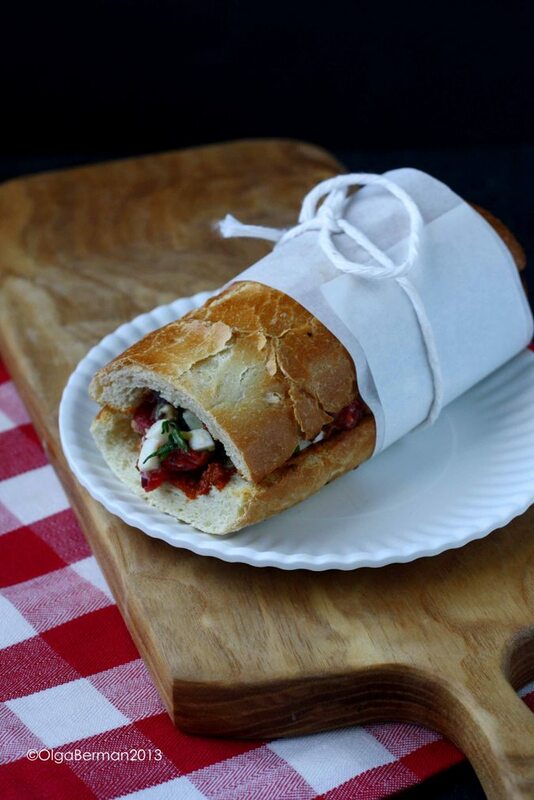 :) But man, that sandwich looks good!